Do you serve your city and your country? Did you know that National Benefits Programs provides supplemental benefits to you and your immediate family? At not cost to you? Please take a moment and check out a couple of the many acceptance and endorsement letters we have received from cities and municipalities in the United States. Please see the official acceptance letter from the City of Pompano Beach, Florida, to the National Benefits & Vehicle Programs. 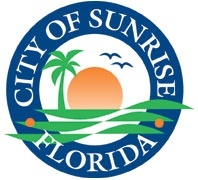 Below is an acceptance letter from the Personnel Department of the city of Sunrise, Florida. Click on the image to see a full size version.